In recent years, public administration reform and the increase in information requests from citizens has drawn attention to the issue of reporting information (other than ‘financial’). Local healthcare organizations, as well as public administrations, have been affected by these developments. 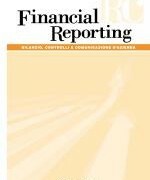 This paper presents the results of content analysis conducted on social reports published by Italian local healthcare organizations from 2009-2013 with the purpose of verifying the actual significance of the elements that according to the literature and standard setters, should define the scope and content of social reporting. The study highlights the fact that the healthcare organizations analysed tend to focus on the type and volume of the services provided, while neglecting the connection between predefined objectives and actual performance – as well as stakeholder engagement in the social reporting process. Social reports have the role therefore of being merely a tool for unidirectional communication by the healthcare organization to its stakeholders. Socio-environmental reporting trends in the Italian local government: Thrive or wither? Social and environmental reporting (SER) in the public sector has been widelydiscussed in the last years (Gray et al., 1996; Mathews, 1997; Parker 2005; Guthrieand Abeysekera, 2006; Guarini, 2002; Hinna 2004; Marcuccio and Steccolini,2005). However, despite the interest in this area of research, there are still a numberof calls to deepen the study of SER in the public sector (Lewis, 2008; Grubnikand Ball, 2007). In Italy, the literature shows the risk of adopting SER as a managementfashion, more than a conscious process of organizational change (Marcuccioand Steccolini, 2005). This paper investigates about the reasons for theadoption and eventual abandonment of SER by local government in Italy. L’obiettivo di questo lavoro è verificare la diffusione della rendicontazione sociale all’interno delle province italiane, oggetto di particolare attenzione nell’ambito delle disposizioni per la revisione della spesa pubblica introdotte dal decreto-legge 6 luglio 2012, n. 95. Attraverso lo svolgimento di una ricerca empirica su tutte le province italiane sono stati analizzati gli strumenti utilizzati per la rendicontazione sociale, gli attori coinvolti e le criticità incontrate al fine di proporre delle indicazioni manageriali che potrebbero essere utili in fase di un eventuale accorpamento delle province e di un miglior utilizzo e diffusione degli strumenti collegati alla rendicontazione sociale all’interno degli enti locali. The purpose of this work is to verify the diffusion of social reporting among the Italian provinces, object of particular attention under the public spending review provisions introduced by Decree-Law 6th of July 2012, number 95. The tools used for social reporting, the players involved and the critical aspects were analyzed through an empirical research on all the Italian provinces. All this in order to propose managerial guidelines that might be useful in case of eventual unification of provinces and in case of better use of instruments connected to social reporting within local governments. Obiettivo del presente lavoro è quello di evidenziare i recenti sviluppi in tema di rendicontazione sociale che hanno interessato, negli ultimi anni, le Federazioni Sportive Nazionali. In particolare, si intende indagare i fattori che esercitano un’influenza sull’adozione del bilancio sociale e l’impatto che tale strumento di social reporting produce all’interno delle realtà sportive federali. In questo scenario, le FSN confermano la loro posizione di rilievo per l’utilità sociale del loro operato poiché svolgono una funzione di sviluppo del sistema sportivo, educativo e di benessere sociale. Nello specifico il bilancio sociale ha permesso di attivare un “circolo virtuoso” di programmazione gestione-rendicontazione-verifica dei risultati, in grado di accrescere la responsabilizzazione dell’organizzazione sul raggiungimento degli scopi sociali ed istituzionali, offrendo al tempo stesso agli interlocutori esterni una modalità di valutazione sul merito dell’operato della federazione. The aim of this paper is to highlight the new trends in the field of social reporting that have involved the National Sports Federations (FSN) in recent years. Our purpose was to investigate a) the factors that effect the adoption of social reporting, and b) the effects that the latter produces on these organizations. In this scenario, the FSNs confirm the social utility of their activities, with specific respect to the development of sports, educational and social welfare. In particular, social reporting has activated a “virtuous circle” of planning-management-accounting-control, which can increase accountability throughout the organization in order to achieve social and institutional goals and to enable external stakeholders to assess the federation’s performance.